At this point in the wedding planning process, you may want to pull your hair out debating between vanilla or chocolate wedding cake and developing a fail-proof seating arrangement strategy. But, when it’s all said and done, weddings are about moments — the ones you’ll point to first when sharing your wedding album with your children and grandchildren. Of course, the key to capturing must-have wedding memories is first knowing which ones you won’t want to miss out on! To help guide you, check out our list of the top five shots you’ll treasure for eternity. The Little Details: Some of the most swoon-worthy wedding moments are those that happen before the vows are exchanged — whether it’s your groom opening up the love letter you wrote him or the words of advice his father gave him before they entered the church. You may be surprised at the subtle, yet poignant emotion that pours out of these images, so be sure your photographer is at the ready. 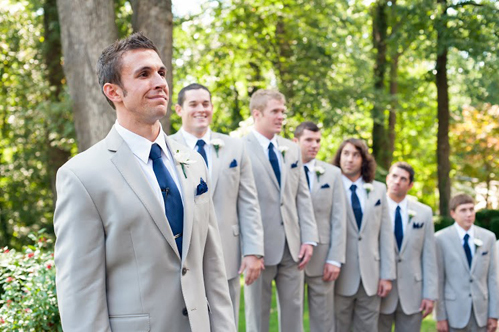 The First Look: One of the most emotionally powerful aspects of your day will be the moment your groom sees you in your bridal attire for the very first time! 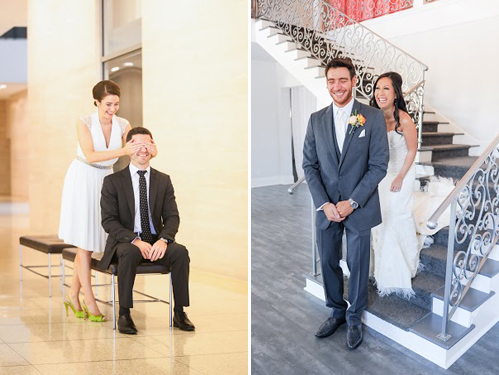 Whether you opt to have a private meet-up before the ceremony or prefer to wait until you walk down the aisle, a first look photo can transport you back to the magic you felt the moment you first saw each other. The First Dance: Whether it’s the tears of joy only you can see or the sweet conversation you had while gliding across the floor, documenting the first dance you share with your new husband is a wedding-day photo essential! You’ll have to keep the tissues within arms’ reach when you look back on this photo in the future. Special Guests: More than likely, your relationship with your groom wouldn’t be what it is today without the support of your dearest loved ones! If this is the case for you, you’ll definitely want to have these cherished moments — such as the mother-son dance or the sweet moments your groom spent with his grandparents — captured at your wedding. The Grand Exit: Remember the excitement you felt as you ran out of the reception, hand in hand, as your guests cheered on and wished you well? A show-stopping send-off requires photo documentation, so make sure this moment doesn’t go unnoticed! Photos by George Street Photography. If you need assistance developing your own list of must-have moments, it’s always a good idea to sit down with your photographer to brainstorm potential ideas. Perhaps you’d like to capture your spouse’s reaction as they read the love letter you wrote for them or your reaction during the maid-of-honor’s speech. Whatever moments you decide to include, you can never go wrong with following your heart! Derek is a George Street Photo & Video Wedding Coordinator. 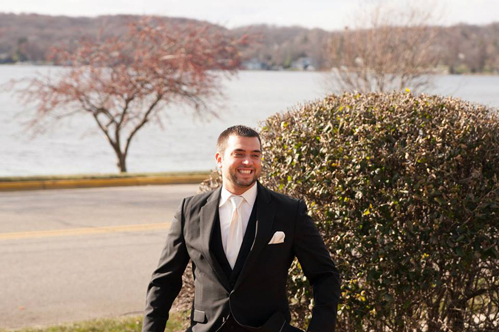 With more than 4 years’ experience, couples can count on Derek throughout the wedding planning process. He is there to ensure our talent has all the necessary information and that they’re ready for the Big Day. When he’s not assisting brides, Derek is out pursuing his passion for acting and directing. His fashion sense resembles that of his icons — David Bowie, Diana Vreeland and Alexander McQueen, which doesn’t accurately give way to his charming personality. A Mississippi transplant in a big city, Derek’s Southern charm makes him one fun-loving guy!